Shipping and Handling – Items shipped with insurance and direct signature required. 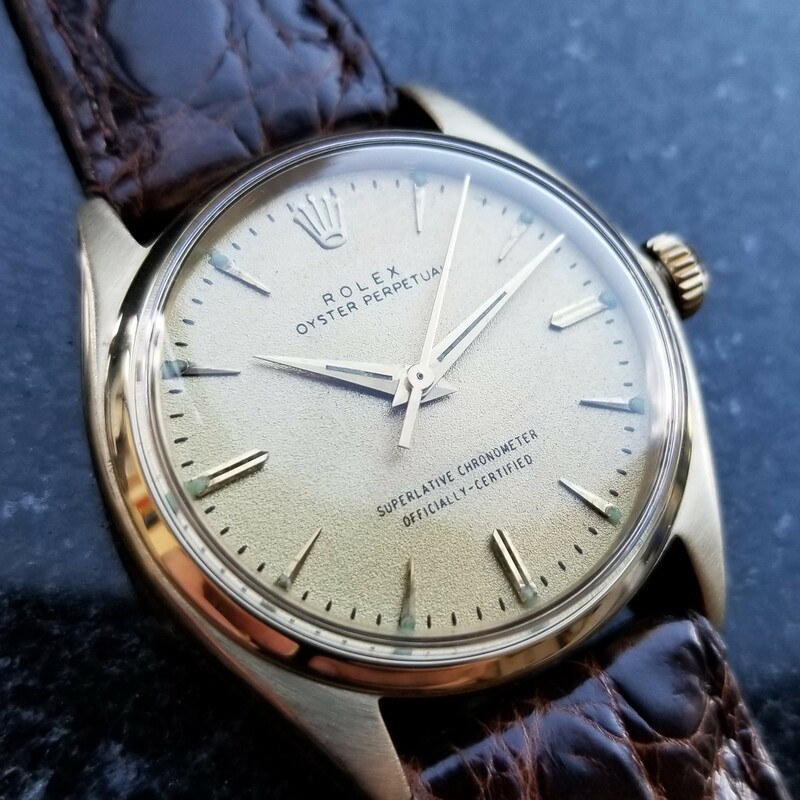 All of our vintage pre - owned watches we offer here are authentic watches that have been cleaned, polished and serviced to perfection by our master watch technicians. Most items we offer here are without the original box or paper, unless otherwise noted. A signed certificate of authenticity is available for an additional $ 25. If you experience any issues with the item, we ask you to please contact us immediately by phone or email via the contact us form, and we will make sure to correct the issue and make sure that your concerns are handled properly and resolved. If you experience any issues with the item, we ask you to please contact us immediately Contact Us or email us at daddyswatch@gmail.com or by phone at 1-310-922-2095, and we will do our utmost to correct the issue and make sure that your concerns are handled properly and resolved. Additional extended warranty is available to purchase when you check out your item. Our master watchmakers have serviced each piece, inspected and confirmed the authenticity of this item.